Leading up to the event, we will be highlighting the winners of the narrative and illustration awards. 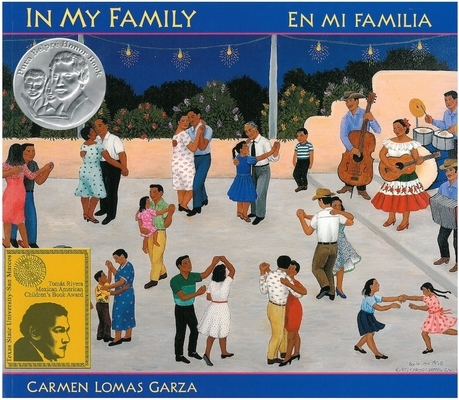 Today’s spotlight is on Carmen Lomas Garza, the winner of the 2000 Pura Belpré Illustration Medal for Magic Windows / Ventanas mágicas and Pura Belpré Honors for Illustration for Family Pictures / Cuadros de familia in 1996 and In My Family / En mi familia in 1998. Magic Windows: Through the magic windows of her cut-paper art, Carmen shows us her family, her life as an artist, and the legends of her Aztec past. We look into Carmen’s studio and see her paint a Mexican jarabe tapatío dancer; we glimpse the hummingbirds that cross the US-Mexico border to taste the sweet nectar of the cactus flowers; and we watch Carmen teach her nieces and nephews how to make their own magic windows. Magic Windows is a continuing tribute to family and community as well as a way for Carmen to connect future generations to their ancestors by teaching and sharing with them this traditional folk art. Family Pictures is the story of Carmen Lomas Garza’s girlhood in Kingsville, Texas: celebrating birthdays, making tamales, picking cactus, and confiding to her sister her dreams of becoming an artist. These day-to-day experiences are told through fifteen paintings and stories, each focusing on a different aspect of Carmen’s traditional Mexican American culture growing up. 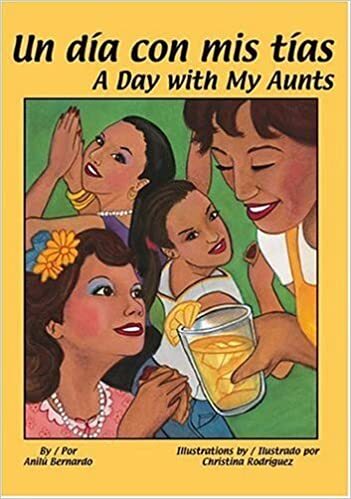 The paintings and stories reflect the author’s strong sense of family and community and demonstrate how her mother’s love and hard work helped Carmen achieve her dream. For the hundreds of thousands of Mexican Americans, Carmen Lomas Garza offers a book that reflects their lives and cultural traditions. For others, this beautiful work will offer insights into a fascinating life and a rich community. 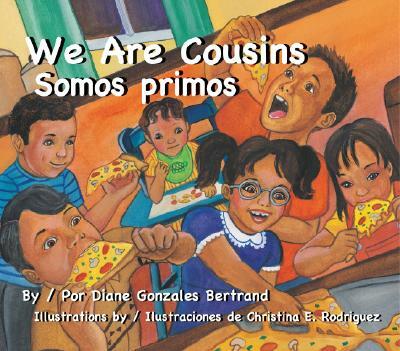 Sandra Cisneros provided the introduction and Pat Mora the afterword for this touchstone of Latino children’s literature. 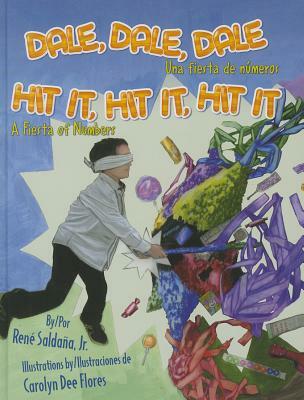 This book is bilingual (English and Spanish). 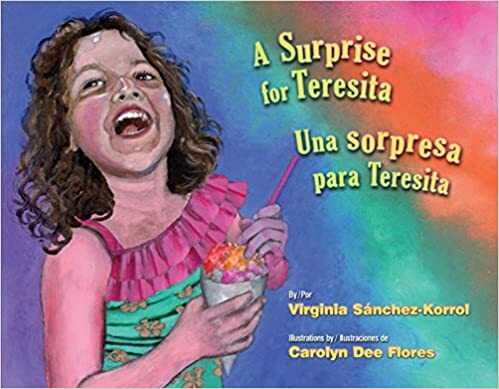 In My Family / En mi familia: In her eagerly-awaited second book for children, In My Family / En mi familia, internationally-renowned artist Carmen Lomas Garza takes us once again to her hometown of Kingsville, Texas, near the border with Mexico. Through vibrant paintings and warm personal stories, Carmen brings to life more loving memories of growing up in a traditional Mexican American community: eating empanadas, witnessing the blessing on her cousin’s wedding day, and dancing to the conjunto band at the neighborhood restaurant. In My Family / En mi familia is Carmen Lomas Garza’s second book of family pictures, a continuing tribute to the loving family and community that shaped her childhood—and her life. For effective strategies on incorporating students’ linguistic and cultural backgrounds into social studies curricula, check out the article “Developing Literacy through Culturally Relevant Texts” by Dr. Iliana Alanís in Social Studies and the Young Learner (2007) from the National Council for the Social Studies. 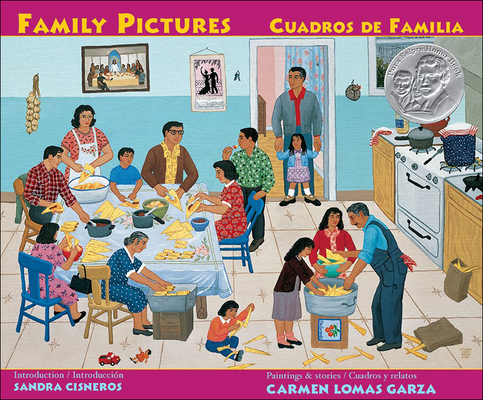 Pair In My Family with the author study guide Carmen Lomas Garza: Chicana Author and Illustrator by Deborah J. Francis, part of The Alma Project, a cultural infusion model by Denver Public Schools. With this artist’s statement, Carmen Lomas Garza sums up everything I appreciate about her autobiographical children’s books. They’re real. They’re confident. They’re hopeful. In all three of her Pura Belpré award winners – Magic Windows / Ventanas mágicas, Family Pictures / Cuadros de familia, and In My Family / En mi familia – Garza uses traditional media alongside her own words to represent her memories and celebrate common Mexican American cultural practices. While engaging with these exquisite images and clear, simple (and bilingual!) captions, readers of any cultural background can learn something about life in 1950s Kingsville, Texas and compare and contrast their own experiences with the artist’s. 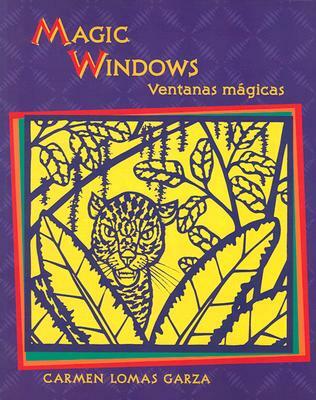 Magic Windows / Ventanas mágicas, which won the Belpré Award in 2000, provides readers with an intricate introduction to the art of papel picado, the traditional Mexican art of paper cutting that began with Mexico’s indigenous communities. Papel picado decorations for Mexican Independence Day celebrations, Atlixco, Puebla, Mexico. Photo by Alejandro Linares Garcia. While traditional papel picado pieces often feature geometric and/or symbolic designs, Garza’s paper cutouts represent moments from her life: making paper flowers with her family, catching horned frogs, helping her grandfather water his garden. Detail from Offering for Antonio Lomas / Ofrenda para Antonio Lomas on the back cover of Magic Windows / Ventanas mágicas. According to Magic Windows’ introduction, Garza learned how to craft traditional papel picado with scissors from her mother and then, after decades of practice, began fashioning the larger, more representational pieces found in this book with a craft knife. I just can’t believe she cut all of these detailed, elaborate works by with her own two hands. Can you imagine the love, patience, and dedication it took to complete them? “These pieces are like magic windows,” she states. “When you look through them, you can see into another world.” What I see is a deep love for her family rendered with absolute care and skill. You can’t get much more magical than that. In Family Pictures / Cuadros de familia and In My Family / En mi familia, Garza’s Belpré honor winners, we can see that same care and love channeled through a very different artistic medium – painting. Both of these books contain several paintings of the artist’s childhood memories coupled once again with bilingual captions that explain the significance of each work. Page after page treats readers to sumptuous, folk-art-style snapshots of family gatherings, tender moments, and humorous scenes. Detail from Quinceañera on the back cover of Family Pictures / Cuadros de familia. Detail from Watermelon / Sandía on the back cover of Family Pictures / Cuadros de familia. Carmen Lomas Garza’s books are excellent models for autobiographical writing and art. After reading any of these award-winning books, let students create their own artistic representation of a personal memory (using their choice of medium, if possible) and write an autobiographical story to accompany the art. Explore the rich history and modern practice of creating papel picado with students. Making Magic Windows, Garza’s companion book to Magic Windows, provides plenty of information about this alluring art form as well as step-by-step instructions for young artists. If possible, invite a papel picado artist to your school to share their craft. Do you live in or near Chicago, Austin, El Paso, San Francisco, or Oakland? If so, consider taking your students to an art museum or library collection that features Carmen Lomas Garza’s artwork. You can find her paintings at the National Museum of Mexican Art (Chicago), the University of Texas’s Benson Latin American Collection (Austin), the El Paso Museum of Art, the Mexican Museum (San Francisco), and the Oakland Museum of California. 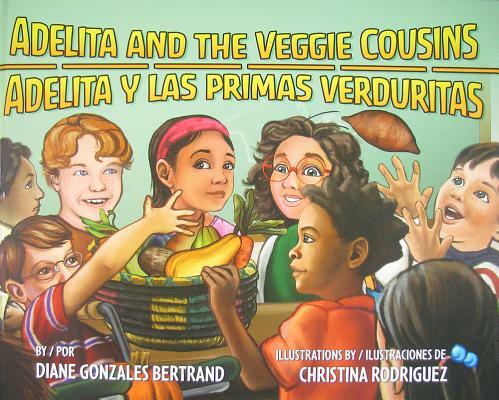 Viewing a full-size, in-person version of a painting from one of Garza’s books can be a powerful experience, and many kids will love connecting their museum visit to books they’ve read. I’ll never forget stumbling upon Las Posadas at the Museum of Mexican Art – it was definitely a highlight of my trip to Chicago. 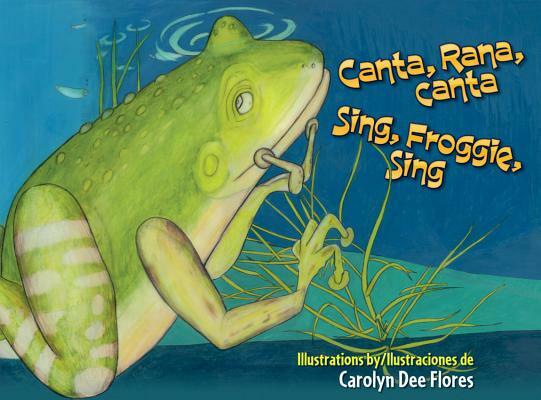 ABOUT THE AUTHOR-ILLUSTRATOR (from her website): Carmen Lomas Garza was born in Kingsville, Texas, in 1948. Inspired by her parent’s activism with the American G.I. Forum, Lomas Garza joined the Chicano Movement of the 1960s and 1970s. She is a graduate of the Texas Arts & Industry University, Juarez-Lincoln/Antioch Graduate School, and San Francisco State University where she earned her M.A. in 1981. Lomas Garza is a recipient of numerous awards and has exhibited her work in galleries and museums across the United States. Marianne Snow Campbell is a doctoral student at The University of Georgia, where she researches nonfiction children’s books about Latinx and Latin American topics and teaches an undergraduate course on children’s literature. Before graduate school, she taught pre-K and Kindergarten in Texas, her home state. She misses teaching, loves critters, and can also be found on Twitter and Facebook. Leading up to the event, we will be highlighting the winners of the narrative and illustration awards. 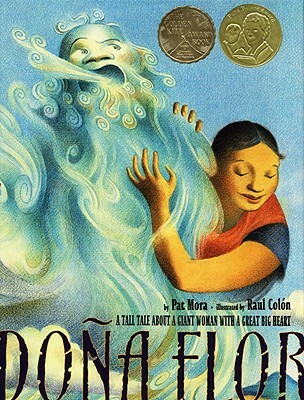 Today’s spotlight is on Raul Colón, the winner of the 2006 Pura Belpré Illustration Award for Doña Flor: A Tall Tale About a Giant Woman with a Great Big Heart. Colón also received Pura Belpré Illustration Honors for Portraits of Hispanic American Heroes and My Name is Gabito: The Life of Gabriel García Márquez/Me llamo Gabito: la vida de Gabriel García Márquez. DESCRIPTION FROM THE PUBLISHER: Doña Flor is a giant lady who lives in a tiny village in the American Southwest. Popular with her neighbors, she lets the children use her flowers as trumpets and her leftover tortillas as rafts. Flor loves to read, too, and she can often be found reading aloud to the children. One day, all the villagers hear a terrifying noise: it sounds like a huge animal bellowing just outside their village. Everyone is afraid, but not Flor. She wants to protect her beloved neighbors, so with the help of her animal friends, she sets off for the highest mesa to find the creature. Soon enough, though, the joke is on Flor and her friends, who come to rescue her, as she discovers the small secret behind that great big noise. The creators of Tomás and the Library Lady, Pat Mora and Raul Colón, have once again joined together. This time they present a heartwarming and humorous original tall tale—peppered with Spanish words and phrases—about a giant lady with a great big heart. When I look at Colón’s illustrations, the etchings remind me of fingerprints. The loops, the arches, the whorls, and all the lines that we might associate with fingerprints are visible in Colón’s illustrations. I am not familiar with techniques or the technicalities of etching and in saying that the illustrations remind me of fingerprints I do not mean to devalue the art in any way. 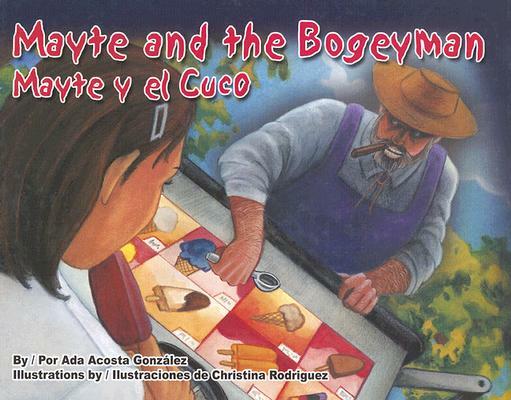 My favorite illustration in this story is of Doña Flor using her thumb to carve out a riverbed in the village. Doña Flor is in a squatting position with her white skirt covering her thighs, and she has used her thumb to make a squiggly path for the water while the villagers look on. The riverbed has the details I associated with the fingerprints which, in this case, could be Doña Flor’s own prints. Colón’s illustrations are beautiful, colorful, and magical. That I saw fingerprints when I looked closely at his illustrations speaks to the uniqueness of his art. While Doña Flor wears a blue shirt in most of the illustrations sometimes the shirt looks like it is embroidered and sometimes it looks like a plain T-shirt. The clouds on one page look round and fluffy and in the illustration where she’s made her bed of clouds it appears like she’s left her own fingerprints on the clouds she has gathered. Despite the uniqueness I see in his illustrations, there is certainly a sense of cohesion throughout the story. I’ve decided to focus on the etchings, the lines, and how much they appear like fingerprints because as I examined his illustrations, I also got the thought that our stories are as unique as our fingerprints. Colón’s illustrations in Doña Flor affirmed that for me. I couldn’t help but connect the details I saw in his art to the significance of the Pura Belpré award and the necessity for more Latinx children’s and young adult literature by and for Latinx. For younger readers: Ask younger readers to pick their favorite illustration and to pick a part of the image they’d like to recreate. For example, in the illustration with Doña Flor making the river, students can attempt to recreate the river, the clouds, the trees and hills, etc. Ask students to outline their chosen part and to fill it in by dabbing their fingerprints. This will recreate the etching effect they see in the illustrations. For middle grade readers: Discuss with students the effect and affect of etching. Does the etching force the reader to focus in a certain direction or a certain part of the page? How do the illustrations make you feel? For example, in the illustration where Doña Flor hugs the wind the lines of the etchings point in the same direction, making it appear like she is floating away with the wind. For young adult readers: By the end of the story Doña Flor learns that the loud roaring frightening the village is coming from a small puma roaring into a hollow log. Discuss with students the importance of perceptions and misconceptions. How might we connect the villagers’ fear and the puma’s amplified roars to racial/ethnic stereotypes? Leading up to the event, we will be highlighting the winners of the narrative and illustration awards. Today’s spotlight is on Susan Guevara, the winner of the 1996 Pura Belpré Illustration Award for Chato’s Kitchen and the 2001 Pura Belpré Illustration Award for Chato and the Party Animals. Chato’s Kitchen: Chato can’t believe his luck. Not only is he the coolest low-riding cat in East L.A., but his brand-new neighbors are the plumpest, juciest, tastiest-looking family of mice to move into the barrio in a long time. So Chato and his best friend, Novio Boy, get out the pots and pans, the tortillas and the beans–everything you’d need for a welcoming feast, except for the main dish, and the guests of honor. Of course, in Chato’s mind they are one and the same thing. But the mice are bringing a surprise guest of their own, who may be more than a cool cat can swallow. MY TWO CENTS: Susan Guevara won the Pura Belpré award for illustration in 1996 and 2001 for her work with Gary Soto in Chato’s Kitchen (1995) and Chato and the Party Animals (2000). Soto introduces readers to the coolest cat in the East Los barrio. In Chato’s Kitchen, Chato plans an elaborate scheme to get some delicious ratoncitos to come over for dinner and serve as the main course. Chato’s plan is foiled when his invited guests bring their friend Chorizo, a low-riding dog, to dinner with them. 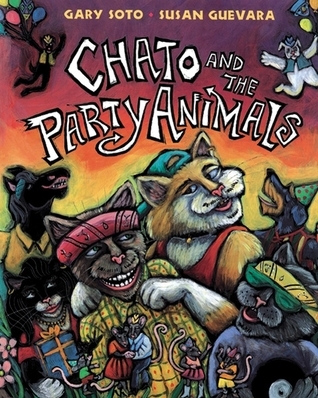 In Chato and the Party Animals, Chato throws an amazing birthday bash for his best cat friend Novio Boy, who has never had a birthday party of his own because he doesn’t know his date of birth since he’s from the pound. Through her illustrations, Guevara gives life to Soto’s sueve characters. ABOUT THE ILLUSTRATOR (from her website): Susan Guevara is a visual storyteller. She tells her tales with illustrations, paintings, drawings and sculptures. 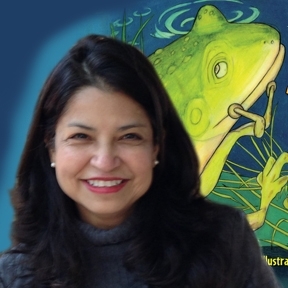 For 27 years her work as a children’s picture book illustrator has been recognized many times, often for its contribution to literature set in Latino culture. 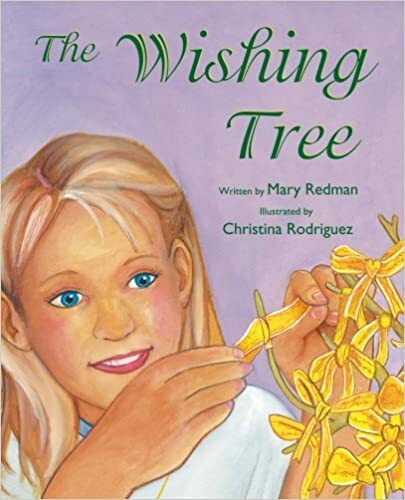 Her recognition includes a 2005 New York Times Ten Best Illustrated books of the Year recipient, a two time Pura Belpré Illustrator Award winner, the first Tomás Rivera Award winner and most recently, a Pura Belpré Honor Award winner for her last book, “Little Roja Riding Hood” by Susan Middleton Elya. 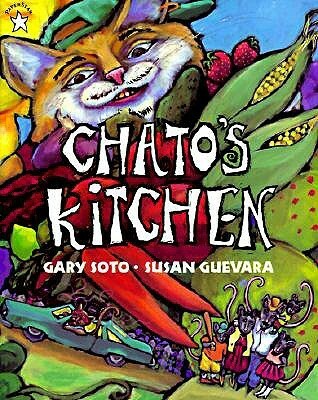 Her illustrations for “Chato’s Kitchen” by Gary Soto contributed to the book being recognized as one of the Best 100 Books of the Last 100 Years by the New York Public Library.